The first test plate in a color vision test is the demonstration plate. This plate is designed for everyone to see the number so that they understand how the test works. 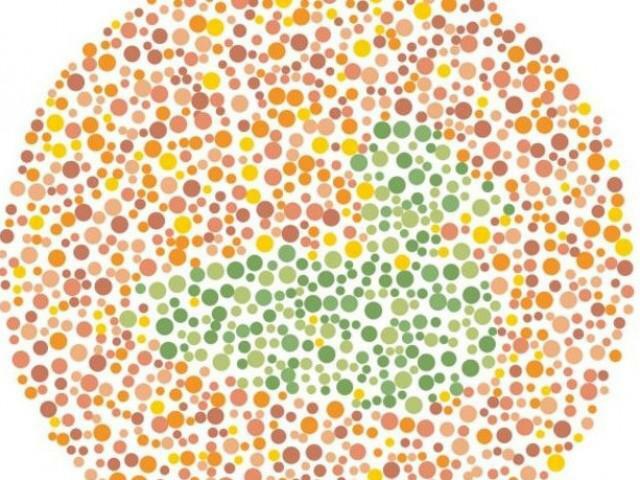 If this demonstration plate is not used, a person who is colorblind will have no idea what they are looking for when they begin taking the test. This is the reason that the number is so obvious is so that everyone with all levels of color deficiencies can see it. Even a person who suffers from colorblindness would be able to see that the number on the plate is 16. The next plates on the test may not be quite so easy. If you are colorblind, you will have trouble seeing this number. If you can see that there is a number there, you might have difficulty distinguishing it. People who can see color perfectly will have no problem distinguishing the number 2 in the middle of the plate. The 2 should be seen in shades of pink. A person who is color blind will see nothing but blue, green, and pink circles. To a person with perfect color vision, this plate should be easy to figure out. There is a 5 on the plate, and it is colored in green. It is surrounded by pink, yellow, and orange dots. 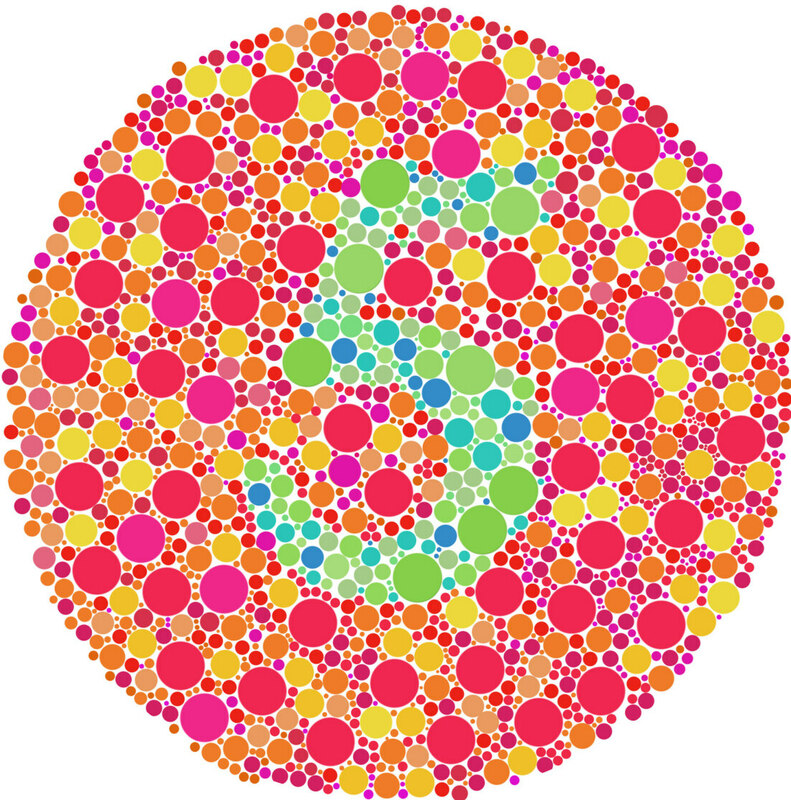 If you cannot make out the 5 at all, you would be considered to be colorblind, which there is no cure for. Some people who do suffer from certain levels of color blindness will see the number 8. It all depends on the level of your deficiency. This is another pink and green test plate. If you have perfect color vision, you will see the number 42 on the plate. 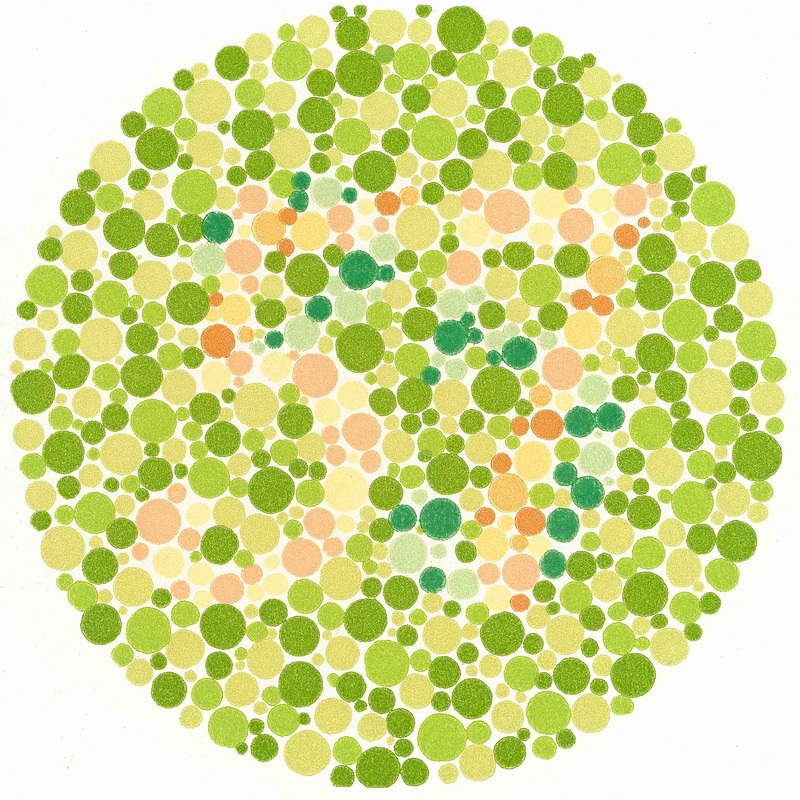 If you are colorblind, all you will see is circles of different shades of green with pink squiggles in the middle. Most people who are even slightly colorblind will get this particular plate wrong. As you can see, the test plates continue to get more and more difficult as they go on. If you are colorblind that is. 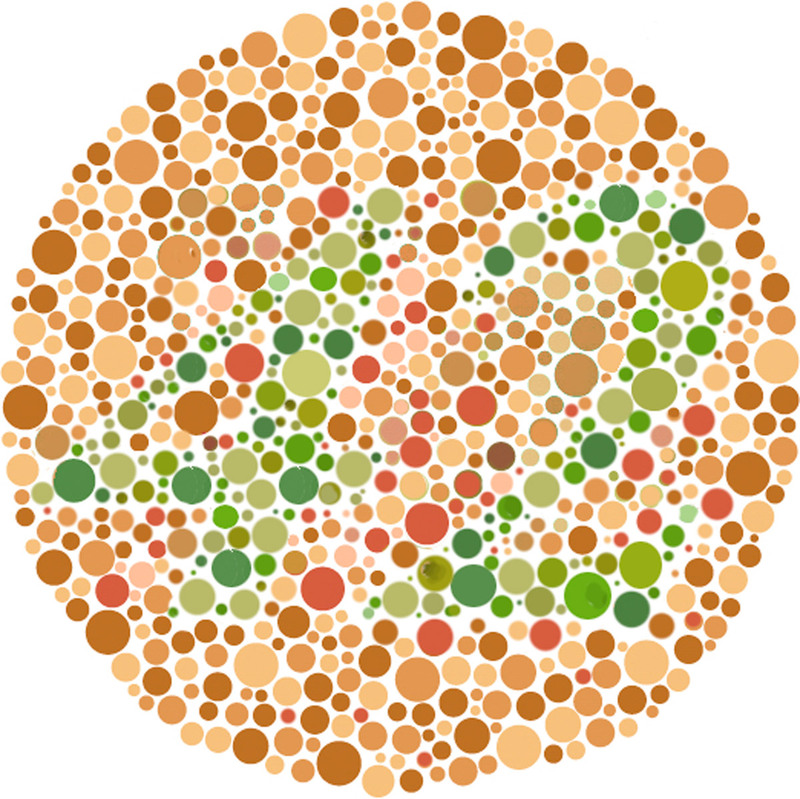 As the test gets harder, it shows your level of colorblindness. If you are colorblind, this plate will just look like it is pink, yellow, and green. Some people will see a green squiggle in the middle, but they won’t be able to make out the number or even realize that it is a number at all. If you have perfect color vision, you will see a green number 7 on the test plate. 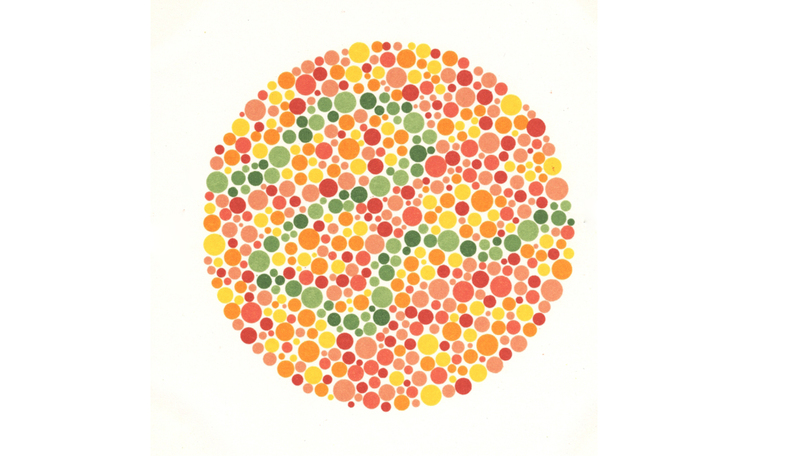 This test plate is difficult for those with serious deficiencies in their color vision, however, if have just a slight color deficiency, this one may not be as difficult as many of the test plates included in this color vision test. You should be able to see the number 29 in both pink and green dots. 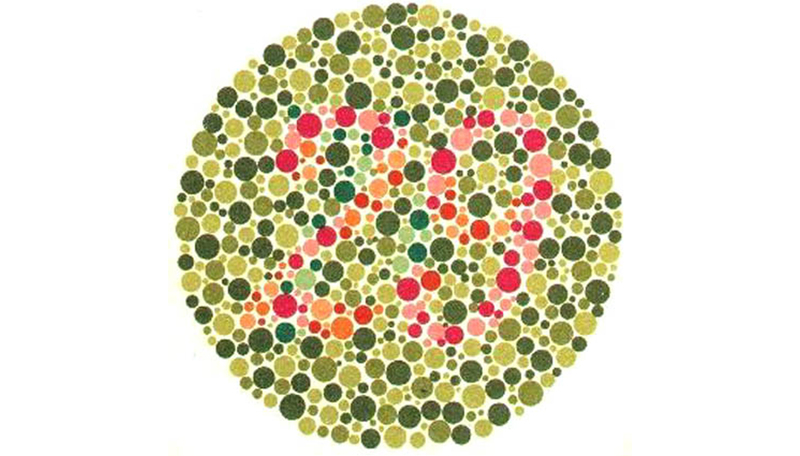 Some people who are colorblind will see the number 70. If you aren’t colorblind at all, the number should pop right out at you. This is one of the more difficult plates if you are colorblind and even if you have a slight color deficiency. If you can see colors perfectly, you should see the number 6. If you have a color deficiency, you will see the number 13 or just a bunch of blue, green, and pink colored dots. The number 6 can be difficult to see for some but it is there. 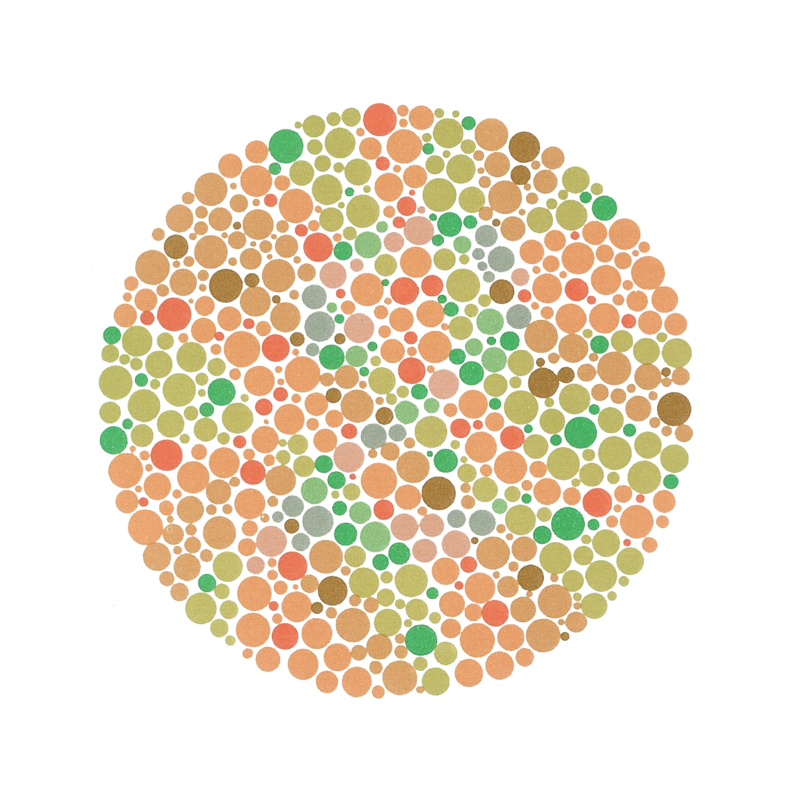 If you are one of the many people in the world who doesn’t have a color deficiency, the number will pop out at you. This is a relatively difficult test plate. 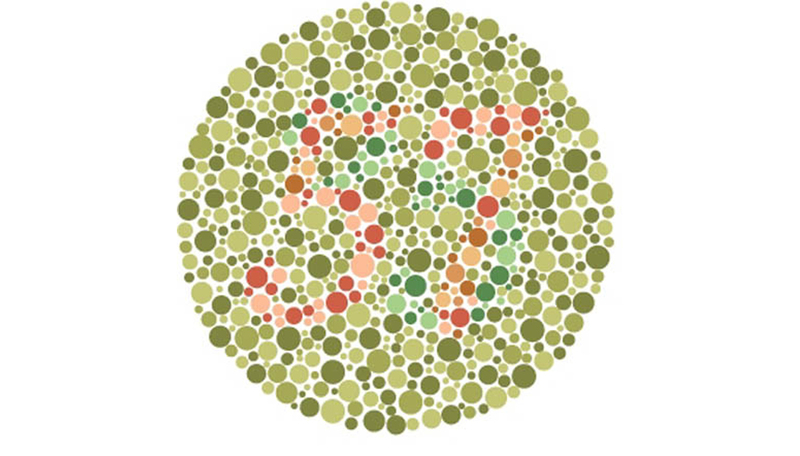 If you can see colors perfectly, you should be able to see the number 57. If you are color deficient, you could see the number 35. If you are seriously color deficient, you will see just pink squiggles in the middle of dots in different shades of green. Of the 10 images to test the color blind that are on this list, this one is the most difficult. People who can see colors perfectly will see the number 10. Those with a slight color deficiency will be able to see a jumble of different colors, such as green, pink, orange, and yellow. Even people with a very slight color deficiency can have trouble making out the number 10 on this plate. It is up to a doctor to determine the level of your color deficiency if you were unable to see the number on this plate or if you struggled to see it. This is an image to make you believe that you have a color deficiency when you really don’t. Anyone who looks at this photo, whether you are colorblind or not, you will be able to see that the woman in the photo has a green tongue, green fingernails, and a green apple. If you are colorblind, her tongue, fingernails, and her apple may appear brownish rather than green, however, none of it will appear to be red, because that is not the way that the picture was taken. 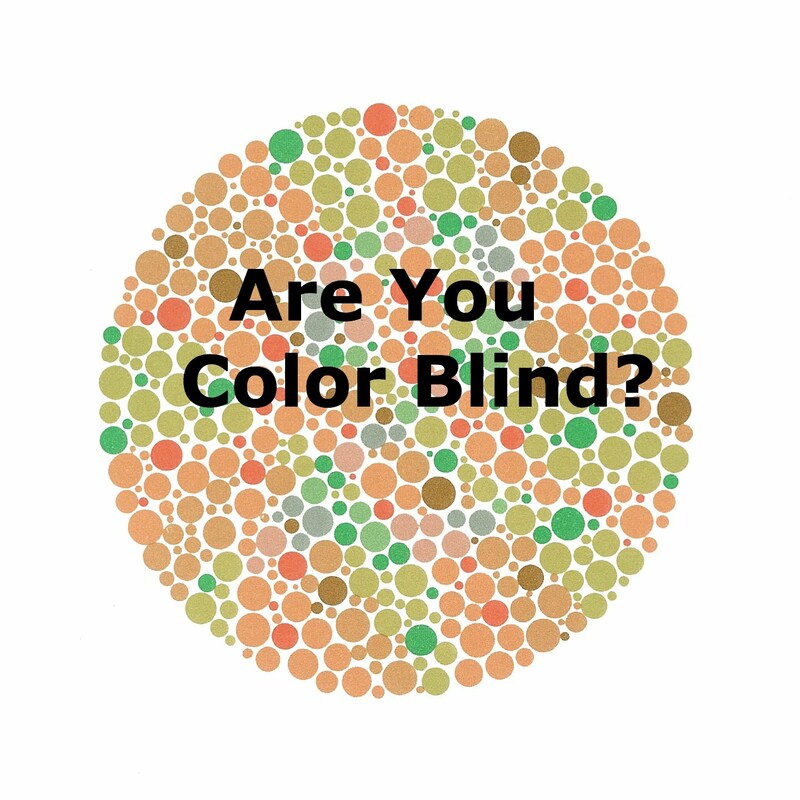 The other photos on this list are actual tests to determine colorblindness, and they are used by optometrists and ophthalmologists. This photo is simply a trick photo to make you believe that you have a color deficiency.